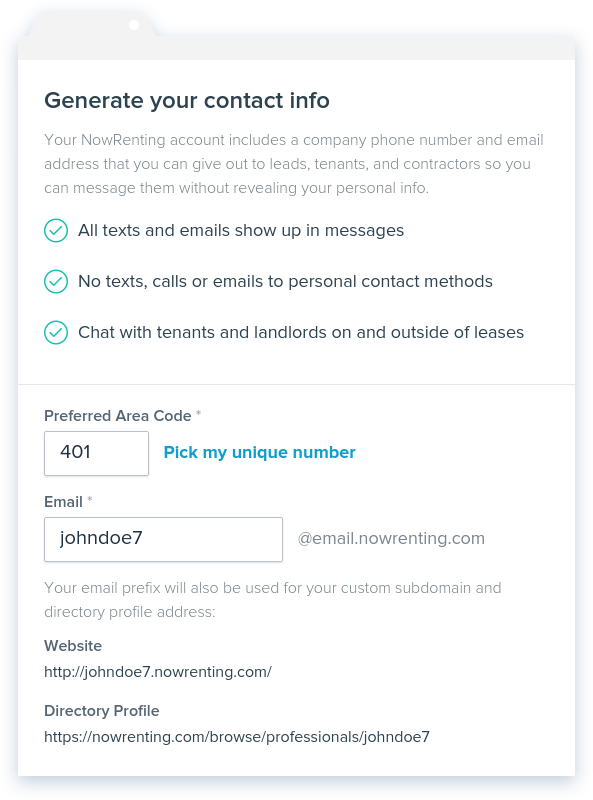 As part of our Leads feature set, NowRenting provides a special phone number for you to give out to leads. This phone number helps keep your business communications separate from your personal communications. 1. When you first create your NowRenting account, you will have the opportunity to select your phone number, or to have one randomly generated for you. To pick your own number, click the “Pick My Unique Number” link during the “Generate your contact info” dialogue. The Change Phone Number screen is the same as in the rest of this article. 2. 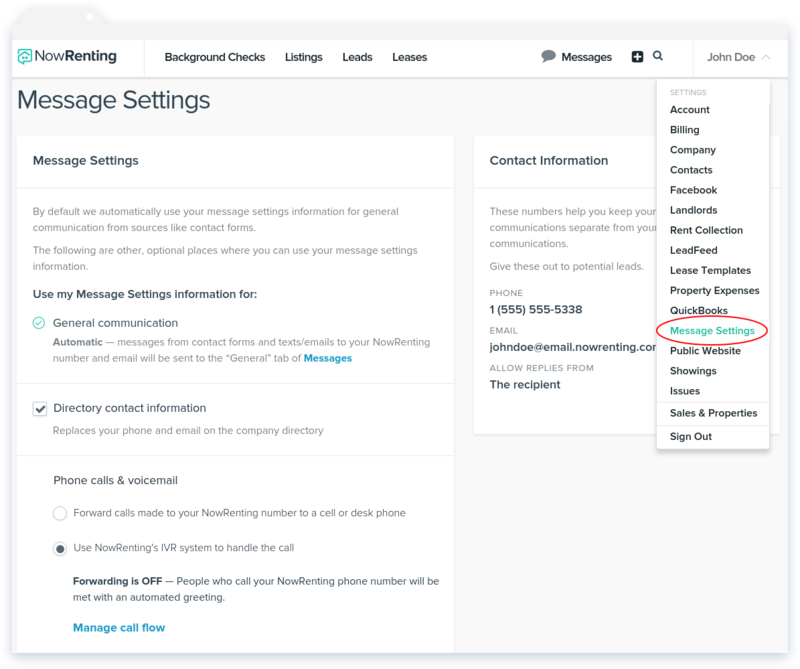 If your account isn’t brand new, you can change your number by navigating to the Message Settings page. Note: If your account has already been created, there is a $2.00 charge for changing your phone number, and the old number will become unavailable to you. 3. In the Contact Information section, click the Edit link next to your current phone number. 4. 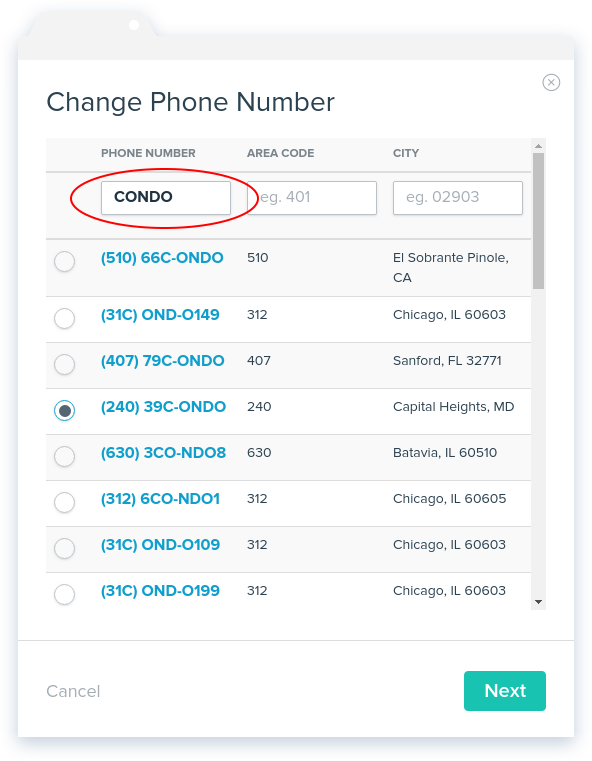 In the Change Phone Number window that opens, you can search through available numbers using the text boxes at the top of the window. If you want your number to spell out a word, you can type letters into the Phone Number field, as shown below. 5. Click the Confirm button to accept the $2.00 charge, and your number will be changed. For more information about NowRenting’s call forwarding options, which are also accessible from this page, see this article.